David and I both explored the Masada. It was quite an interesting experience. From watching Daniel falling asleep at every stop to seeing the girls yell at the top of their lungs anytime any insect came their way. We actually woke up at 4 AM just to see the sun-rise from the top of the mountain. It was truly beautiful. We learned about the story of the fortress and why the Masada is so significant. After exploring the Masada, it was time for the snake path. David of course decided to sprint down the mountain with Dan and Allen while i stayed behind to vlog. David and most of the guys came down the snake path in an insane 18 minutes or so. I ended up taking closer to 35 minutes. We visited the Dead Sea. That was really fun. The water was extremely warm and it burned most of us, and after an hour on the beach, we put on some mud, which was definitely the highlight of the visit. After this we went to see the working facilities of Dead Sea Works, which actually serves an important role in the agriculture of the world. Lastly, we went to Jerusalem to see a view of the Muslim quarters of the city and to meet our host family, which was very nice. Israel has celebrated its independence each year since its creation in 1948. This year is its 67th year of independence. Each year a selected artist creates a picture to represent a certain part of Israel and its independence. One picture in particular stood out to our group, the picture from 1977. 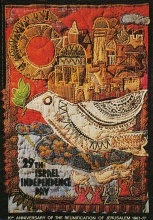 This picture shows a skyline of Jerusalem and a white dove with an olive branch flying over the city with several other figures and shapes on top of a red fabric. This picture in particular stood out to us because it manifested on the of the three main points of Israeli Independence: Jerusalem as the eternal capital of the Jewish nation (Jews in Israel and throughout the rest of the world). It also showed the majesty and beauty of Jerusalem as a city; and the white dove represents the eternal peace over our capital city. 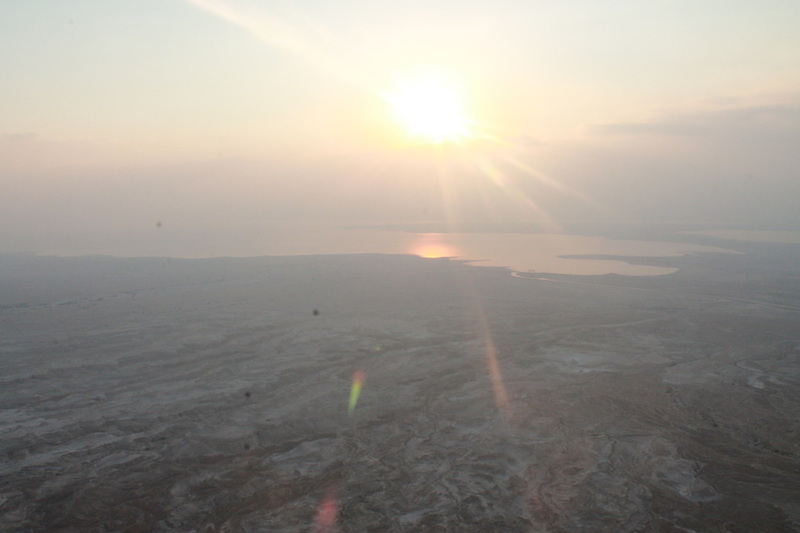 Our experience at 2015 ARTEL Shabbaton! 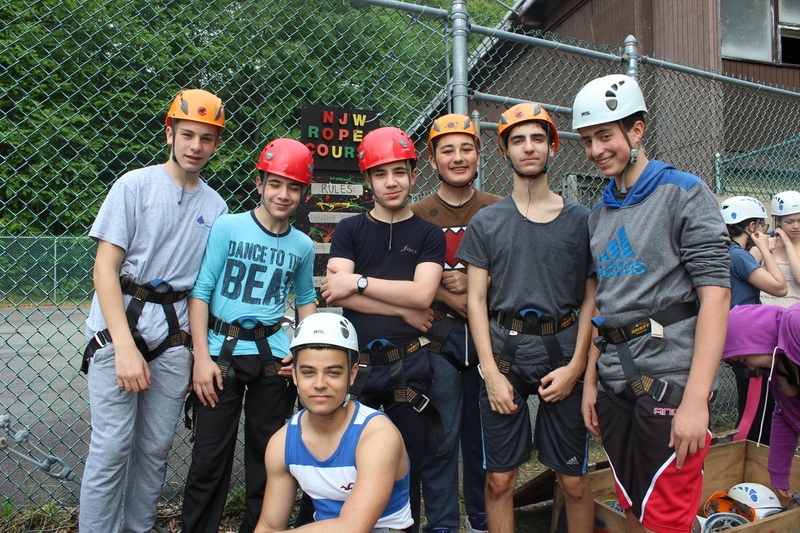 My friends made the high ropes course at the ARTEL Shabbaton a lot of fun. I thought I would hate the heights. I realize now that there was nothing to worry about if my friends are behind me.